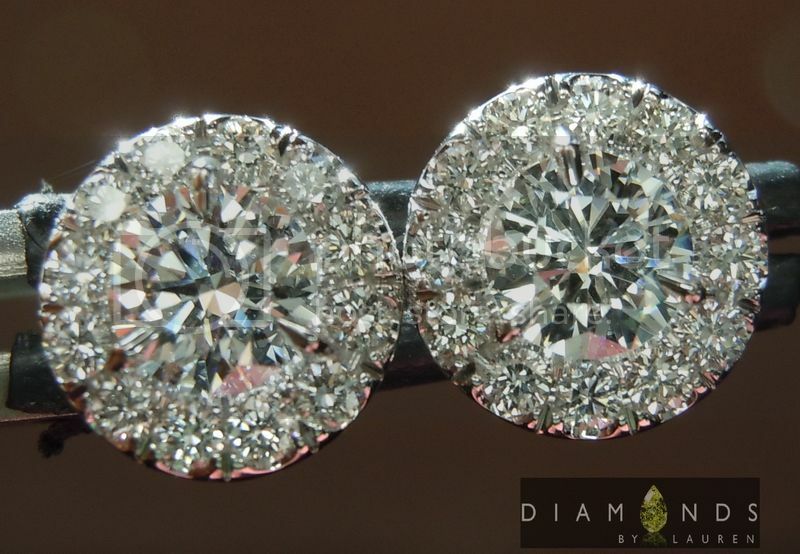 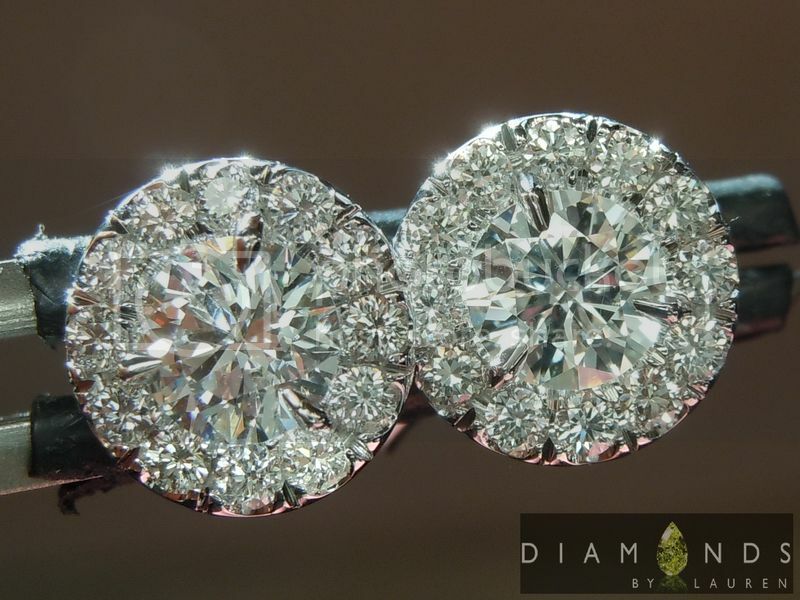 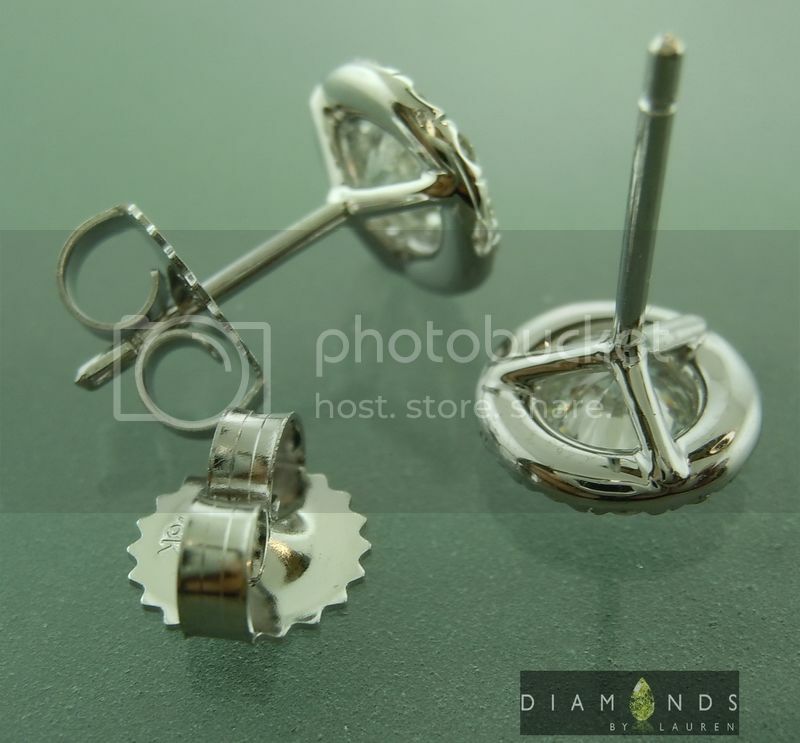 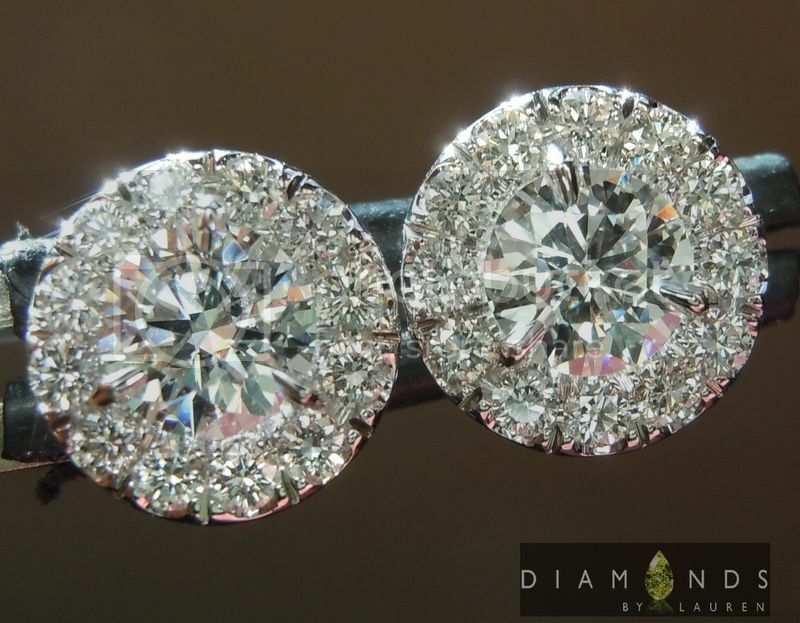 Here is a super high quality or of 3/4 carat total weight round diamonds. 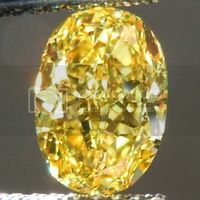 The cut is amazing, which is an absolute "need" for us. 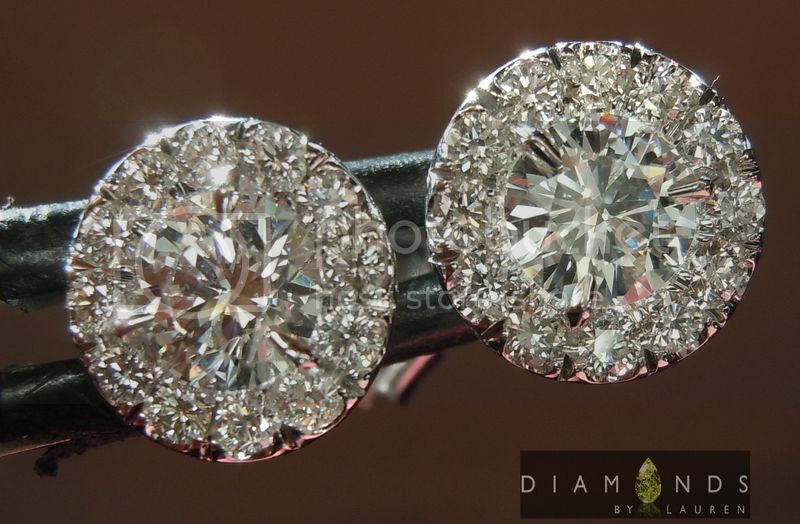 The stones are totally colorless and completely eye clean. 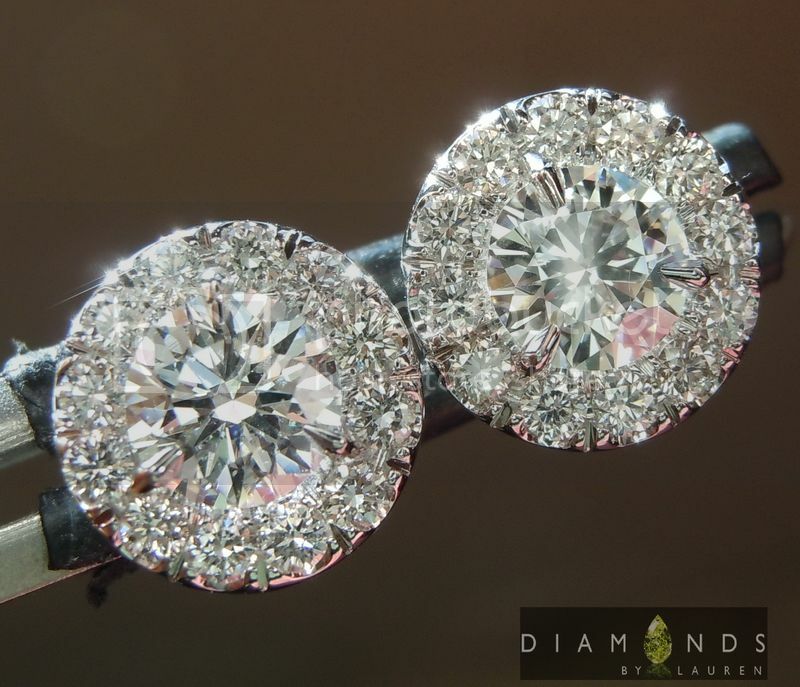 We set then into our super popular "Martini Halo" earrings. 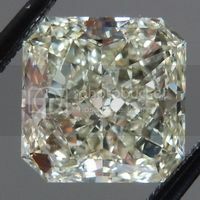 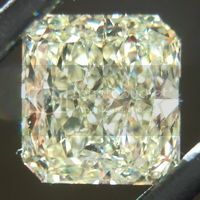 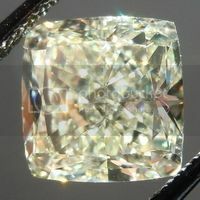 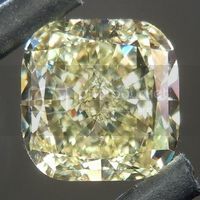 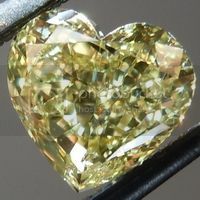 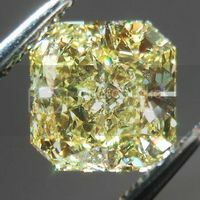 The outside of the halos measure 8.2mm, so onlookers might confuse these for a single 2.00ct diamond from a distance.